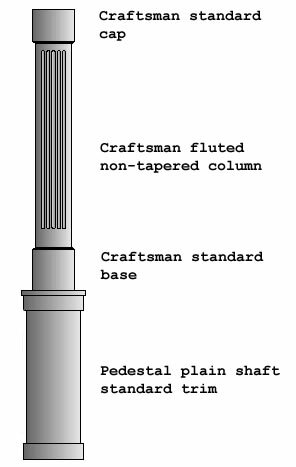 You can choose from several different Cap and Base styles for your columns and pedestals. Looking for wood pedestals? We can make custom pedestals from your choice of wood and to your specifications. Just contact us. Email works best.